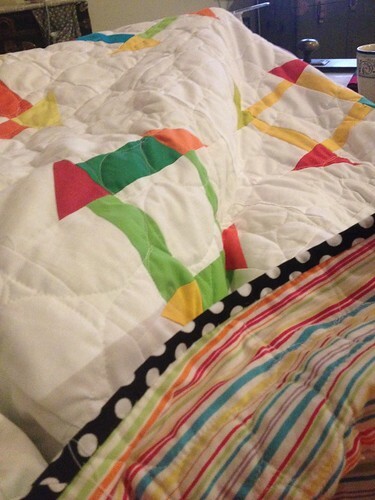 I decided to bind this bright quilt in a black and white polka dot. I love the contrast it has! Have I mentioned that I LOVE doing binding by hand? 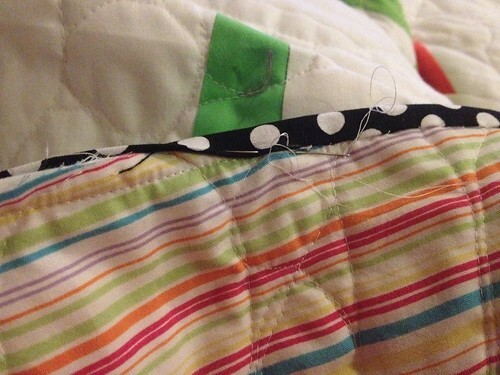 I would NEVER machine bind a quilt, that's the best part!! Here's another look at the binding. And finally a finished quilt. I need to take this one outside and take a better picture of it, but it's so cold.. One day. This turned out so great! 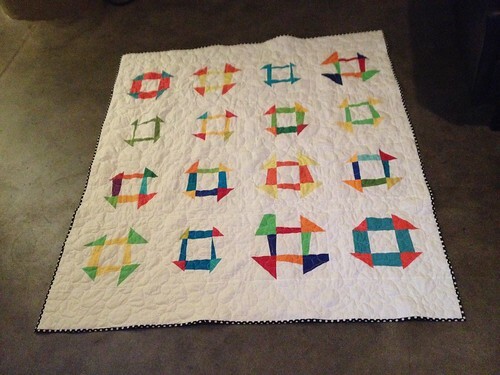 I love how you quilted it! I want to try that someday - it looks easier than a bunch of tiny pebbles. :) It looks like bubbles to me. I just got accepted into a new do.Good Stitches circle. I'm so excited! 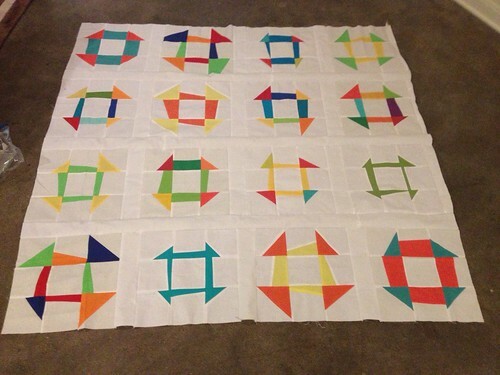 When you requested these blocks, did you request that everyone use a certain type of white fabric, or did you just let everyone use whatever they had? Your blocks all look really good together. Looks beautiful - love the spotty binding too!